 Following the service, visit with family and friends while sharing food and drinks in the Life Story Center. Chuck was a devoted, loving husband, father and grandfather. He loved his family deeply, touched many lives around him and will be deeply missed. By 1942, World War II had captured the hearts of many as news of the day included the perils of war and the sacrifices of battle. In the U.S., young men not in uniform were often found dancing the jitterbug with their saddle-shoed sweethearts or taking in a picture show. Women began entering the work force in droves, and rationing was commonplace on the home front. Michigan factories went from making refrigerators, automobiles and vacuum cleaners to tank engines, aircraft parts and arsenal. It was during this time of change Chuck was a welcome addition to the lives of his parents, John and Emma Reynolds. He was born on March 29,1942 in Kalamazoo. The family moved to Otsego following the loss of his oldest brother Jack. Chuck grew up in Otsego with his brothers Don and Tom. He had a paper route when he was just 9 years old, which was the beginning of Chuck’s working career. He always maintained a great work ethic which remained throughout his life. Chuck had a lifelong passion for cars which all began during his teenage years. He attended Otsego schools and during his high school years he worked at Hinkle’s Bakery. He saved every penny he could because his sights were set on a new car. 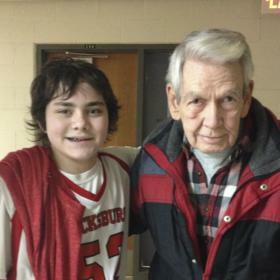 Chuck went on to graduate from Otsego High School with the Class of 1960. He eventually got the car, a 1960 Ford, and as fate would have it, he got the girl, too! He met the love of his life, Linda VanDam at a football game. She fell in love with his big brown eyes, soon they became a couple. Chuck and Linda exchanged marriage vows on June 22, 1963 at Kalamazoo College Stetson Chapel. This was only the beginning of what would become nearly 55 years together. Their family was made complete on July 2, 1968 with the birth of their baby girl, Jodi. Chuck enjoyed spending time with Jodi growing up at their small farm. Throughout the years, they raised many animals including calves, pigs, ponies, chickens and cats. Chuck enjoyed having a garden and growing vegetables each summer. 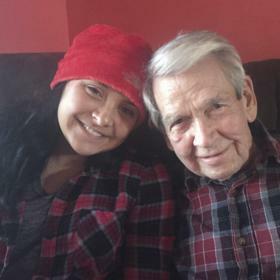 He taught his daughter wonderful and helpful life lessons, such as basic car maintenance and how to work with tools so she would be handy someday herself. Chuck was an avid hunter, and invariably, his faithful companion, Copper, his beloved Golden Retriever was always by his side. In 1995, Chuck bought his first hot rod car, a 1930 Ford. He later acquired a 1934 Ford which was his pride and joy. Being an avid street rod enthusiast, he loved going to car shows throughout the area which was almost a weekly ritual from 1995 to 2017. 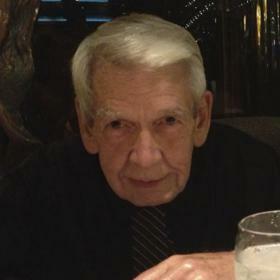 Chuck worked as a draftsman and was a dedicated employee at Hammond Machinery for over 35 years. He enjoyed his work and was very practical in solving problems, both at home and work. Chuck and his family shared many great vacations together. His favorite place was a cottage they rented in the summer on Lake Michigan in Manistee. He and Linda enjoyed getting away to a warm destination during the winter. They traveled to Alaska, Costa Rica, Hawaii and other Caribbean destinations. There were many things that occupied Chuck’s time, but when relaxing he liked watching old reruns of Gunsmoke, as well as movies with Charles Bronson or Clint Eastwood. When it came to music, he preferred the sounds of the oldies on his 45 records such as Chuck Berry, Chubby Checker, Jerry Lee Lewis and the Beach Boys. Together, Chuck and Linda enjoyed spending time at many area casinos. He would always tell you he was always winning! Chuck was delighted to have had the opportunity to provide daycare for his grandkids while their parents worked. The kids feel very fortunate to have had this special time with their grandpa! They lost their father at a young age and Grandpa Chuck was a wonderful and supportive role model for them. He loved spending time with the kids and his family who brought him the greatest joy. Due to his quiet nature, it has been said about Chuck that “Still waters run deep”. His quiet demeanor balanced out Linda’s outgoing personality. Chuck was the type of man who would always lend a helping hand and give the shirt off his back for a friend in need. Everything Chuck did, he put his all into, he thought things through very practically. He tended to have a sarcastic, dry sense of humor and was known for muttering under his breath. These are the things that made Chuck such a special man, and always, a sweet and kind man. He counted the birth of his daughter, his grandchildren and of course his marriage to Linda as the greatest days of his life. For these things and so much more, Chuck will be deeply missed and fondly remembered. 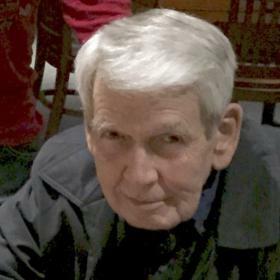 Charles Reynolds, age 76, of Portage and formerly of Otsego passed away on Sunday, April 29, 2018 at Borgess Medical Center. Members of his family include his wife Linda of 55 years, daughter, Jodi Shaw and grandchildren, Mikayla and Keenan Shaw. He was preceded in death by his parents, John and Emma Reynolds and brothers, Jack, Don and Tom and father of his grandchildren Christopher Shaw. A celebration of Chuck’s life will be held on Saturday, May 5, 2018, 11:00 a.m. at the Betzler Life Story Funeral Home, 6080 Stadium Drive Kalamazoo. The family will receive friends and family one hour prior to the service and immediately following the service with a lunch in the Life Story Center. Burial will be in the West Oshtemo Cemetery and the following gentlemen will have the honor of being pallbearers: Keenan Shaw, Joe Miklusicak, John Van Dam, Alan Van Dam, Maurice Hicks and Howard Hardy. 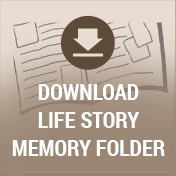 Please visit Chuck’s personal memory page at www.BetzlerFuneralHome.com where you can archive a favorite memory or photo. Memorial contributions may be made to a charity of your choice.